About Seraphina, the Sunburst Jury said: In the kingdom of Goredd, humans and dragons have co-existed in an uneasy peace for four decades, but tensions still run high. The dragons are able to present themselves in human shape, which gives them some safety, but cannot protect them from all elements of a society which forever see them as the other. Into this world comes Seraphina, a young and gifted musician who joins the royal court as the anniversary of the peace treaty nears, and a member of the royal family is murdered, apparently by dragons. Seraphina finds herself drawn into the investigation, which puts her in danger from both sides, for reasons she dare not reveal. 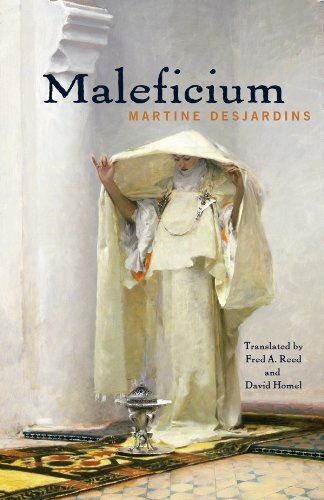 This is a grand and enchanting tale, as rich and intricate as a medieval tapestry, told beautifully. 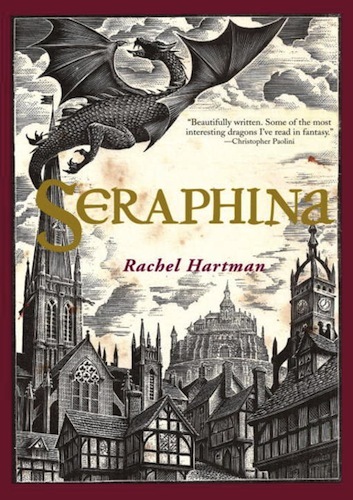 Hartman's wildly imaginative, well-drawn, and intricate world of dragons and men is definitely a world that bears watching, and Seraphina is a fine, fitting heroine, making her independent way while struggling with a legacy which can be both a blessing and a curse. The jurors for the 2013 award are: Rebecca Bradley, Tony Burgess, Shari Lapeña, Barbara Roden and Leon Rooke. Martine Desjardins lives in the Town of Mount Royal, Quebec. Rachel Hartman lives in Vancouver, BC. The 2014 jurors will be Camille Alexa, Paul Glennon, Bob Knowlton, Nicole Luiken, and Derek Newman-Stille. The Sunburst Award for Excellence in Canadian Literature of the Fantastic is an annual award celebrating the best in Canadian fantastic literature published during the previous calendar year. The winners receive a cash prize of $1,000 as well as a medallion which incorporates the Sunburst logo. The Sunburst Award takes its name from the debut novel of the late Phyllis Gotlieb, one of the first published authors of contemporary Canadian speculative fiction.